The trumpet and cornet both stem from common ancestry. 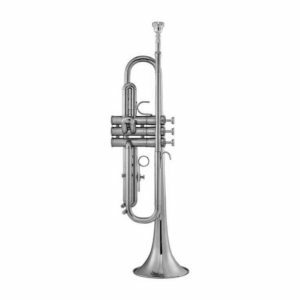 The trumpet, the cylindrical member of the brass family, speaks in a brilliant, martial, and confident manner, as royalty speaks, so its early history is easily traced through the record of kings and queens. 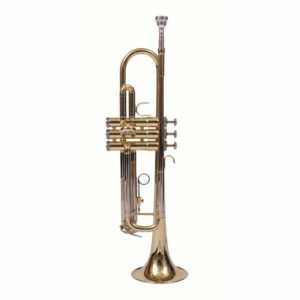 While the early cornets were wooden, the trumpet, because of its royal sponsorship, has been made of metal since the stone age gave way to the age of metals. 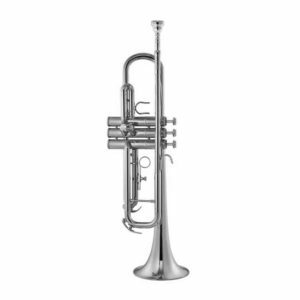 Because the cylindrical nature of the trumpet did not lend itself to the keyed-tone-hole system it was used continuously in its straight, open-toned form, utilizing different instruments in varying lengths for changes of key. In 1778, an ingenious Irishman by the name of Clagget joined two trumpets together by a means of a changed valve which looked like a double french horn without valves. Later, the piston valve was developed, and the stage for the modern trumpet was set.